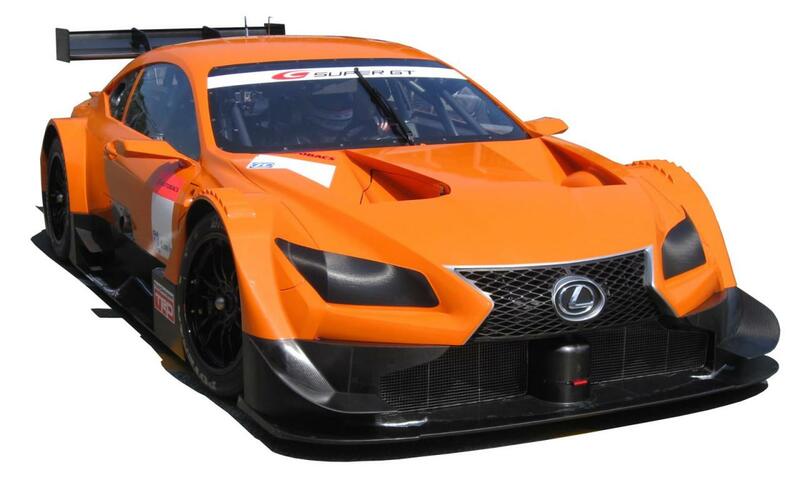 Lexus revealed the replacement of the SC 430 race car for the Super GT Series GT500. We talk about the Lexus LF-CC racing model, a racing car based on the LF-CC Concept seen earlier this year. At the exterior, we can see that the Japanese model benefits from massive front and rear carbon fiber splitters, a rear wing made of the same lightweight materials, side skirts and a vented hood. There are no details about the powertrain found under the hood but we expect more information to be available soon. The production variant of the Lexus LF-CC is expected to hit the showrooms in 2015 in both Coupe and Convertible configurations. Rumors also claim that power could be provided by a hybrid powertrain while the platform will be borrowed from the GS. The new Lexus LF-CC race car will compete next year in the Super GT Series GT500.